Having the freedom to follow her curiosity has enabled Yael Artzy-Randrup to explore the boundaries of ecology and evolution. 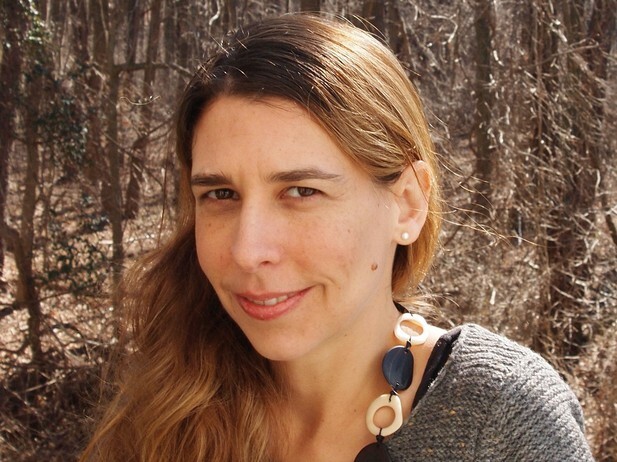 A mathematical background and a passion for the natural world led Yael Artzy-Randrup into the field of theoretical ecology. In 2012 she was the first author on an eLife paper that claimed, on the basis of a computational model, that immune selection might play a crucial role in shaping the diversity of malaria parasite populations. Now an Assistant Professor at the University of Amsterdam, Yael and her collaborators are putting this idea to the test as part of an ongoing five-year field study in Ghana. Yael Artzy-Randrup. Image credit: Shira Hillel. This is a bit tricky to answer, it is quite difficult to single out one point in time and say, “this was the top”. For me, and maybe this is also true for others who’ve chosen this way of life, looking back I see a string of peaks, and looking forward I see so many places I still want to climb to. I know the best is yet to come. What’s your most recent peak? I suppose it surrounds the new findings that are now beginning to come out from the malaria parasite diversity project in Ghana. I have spent the past few years working quite hard on developing the theoretical front, and now with the empirical findings from the field study the bigger picture is beginning to come together. This is very exciting and also inspiring. As a theoretician, having this unique opportunity to experience a complete empirical cycle, from theory to empirical research and then back again, is really very special. At the time your eLife paper was published, did you have a plan for the next five years? I was still a postdoc at the time that the paper was published, and I was just finishing up my two-year stint at Princeton University. This was a period when I had already begun searching for a tenure-track faculty position, I had interviewed at several universities. I still didn’t have a clear idea, though, where I would end up taking a position. The two countries I was focusing on were Israel and the US, and I hadn’t really considered Europe at all until the posting for my current position at the University of Amsterdam was forwarded to me. I had already been familiar with the theoretical ecology unit there, which is very well known in my area, and the Institute (IBED) is also excellent, so I was enthusiastic from the start. What appealed to you most about moving to Amsterdam? Well, to begin with, I had already visited Amsterdam numerous times and felt a special connection with the city long before moving here. My first visit was when I was around 12 with my mother, who introduced me to the rich art and culture of the city, and especially to its nautical history (she is an marine archaeologist). Amsterdam is a very beautiful city, the people are friendly and open, and it is quite easy to communicate with everyone in English. Beyond my personal connection, however, the main attraction for me, really, was the scientific culture at the institute. I felt that I would have the freedom to pursue my research unencumbered. For me, a good scientific environment that makes a point of protecting academic freedom is something I cherish, especially in our current times. What were the biggest challenges you faced when moving? Although Amsterdam is probably one of the friendlier cities to settle in as a foreigner, migrant life can still be difficult. As a newcomer, my biggest challenge was to find housing for my family and schooling for my daughter. Learning to navigate the bureaucratic systems and legal rules, which were completely new to me, took time, all while trying to get up and running at my new workplace. Luckily, I was able to find people who provided valuable support to help me through. My main focus is on topics that are at the interface of ecology and evolution and complex systems. I am still captivated by the malaria parasite Plasmodium falciparum. There are so many fascinating aspects of the population dynamics of this parasite and how these relate to the selective pressures it is exposed to, which usually act on multiple levels of biological organization. For example, I am particularly interested in how the relationship between population genetics of the parasite and its epidemiological dynamics shapes the long-term persistence and resilience of the parasite in areas of endemic malaria in Africa, where over 90% of all malaria deaths occur. In these regions a majority of the human population is infected by many different genetic variants of the parasite, yet most of these people experience no malaria symptoms, and are usually unaware of their infection and that they are contributing to the interminable cycle of malaria transmission. These ‘silent’ infections can last for well over a year, constituting what is known as a ‘malaria reservoir’ and presenting a serious obstacle to eliminating malaria in these regions. It’s difficult to see into the future. I hope I will continue having the freedom to follow my curiosity, as I have been able to until now. I am hoping to find opportunities to get back in touch with the natural world and more chances to go out to the field, which is what originally drew me to study ecology and evolution. I have recently become a fellow of the Institute of Advanced Studies here at the University of Amsterdam, where I will be spending part of my time working in collaboration with academics from other disciplines. I am very excited by this, for me, this is fantastic. From your experiences on both sides of job search and funding panels, how do you think we could improve how researchers are assessed for jobs and funding? Having been educated in Israel and employed in the US before arriving in the Netherlands, I have had a variety of academic experiences and influences. My impression is that researchers are generally judged by the number of their publications. This criterion can be misleading, and sometimes a little superficial. It would be good if we could also focus on candidates’ depth of thought and understanding. What qualities do you think potential PhD students should have? Ideal candidates for graduate studies should have a balance of qualities. It is important to think creatively and have interesting ideas, but it is also important to take the time to follow a line of thought and do the hard work of thorough deep research. A really good candidate is able to take a multi-disciplinary approach in order to place their research within a broader perspective – they need the ability to both zoom in closely and to zoom out widely. Lastly, I find that being a good listener is as important as being a clear communicator. Alongside your research, you currently teach several courses to undergraduates and postgraduates at the University of Amsterdam. What do you enjoy most about educating others? There are moments when I am able to pass on a passionate love of learning and the enjoyment of expanding horizons – this to me is extremely rewarding. Watching a student’s budding new understanding emerge keeps the fundamentals fresh and alive for me as well. One of the best parts of teaching is watching students undergo their own Aha! moments. Apart from that, teaching also helps me deepen my own understanding and knowledge. I’ve learned that for me, teaching and learning are an inseparable mix. Work-life balance is a challenge for most of us. I don’t believe anyone is a superhero capable of doing it all perfectly all the time. Certainly, juggling the daily requirements of my career and my family with young children, especially in a new country, is straining. When I’ve got too many balls in the air, and I let one drop, which I do, I try to forgive myself and move on. When missing the mark, the trick for me is to simply reset your aim. Have any aspects of your life outside of research strongly affected the direction of your career? This is also a little tricky for me to answer. Personal circumstances may have shaped some aspects in the course of my career, but not really its direction. For example, the amount of time I chose to invest in my family during my daughters’ first years slowed down my pace but not my direction. My family may have also played a role in influencing my choice of moving the Netherlands, but the science I do hasn’t been influenced by that on the immediate level. From a different angle, at the time I was a bachelor’s student it was still possible to take as many courses as one liked without paying additional tuition. My approach was to combine the courses required for my bachelor’s in pure mathematics (which characteristically involved studying in solitude for long hours in the library) with courses that were not required for my degree, just for fun – ones that would usually involve field expeditions, for example. The privilege of being able to freely explore a combination of disciplines ended up being key to my career direction. I find it unfortunate that in many academic institutions students now don’t have this liberty that I had, and I can’t help but wonder what the cost ultimately is on the academic world. What career advice would you give to postdocs who are in a similar position to the one you were in five years ago? First and foremost, trust yourself. This goes especially for women in the sciences. So much rests upon confidence. While it is important to take into consideration the personal sacrifices you might have to make, investing too much in playing it safe means you’ll never take flight. Opportunities are out there, be open to what comes next and don’t be afraid to take intellectual risks. Luck is definitely needed – but we have the power to direct our luck. Try not to waste time and energy on self-doubt or dwelling on failures.